Almost all global fast food chains that have entered India have been forced to stop in their tracks and rethink their strategies to combat sales slowdown and increasing competition from local upstarts. The situation is so grave that even the venerable McDonald’s has had to reconfigure the recipe of its bestselling two-patty chicken burger, the Maharaja Mac. The company is now including chicken patties that are thicker and also added a habanero sauce and jalapenos in January to increase its appeal. Also, for the very first time, it launched a Big Mac with no meat at all in recognition of the pent-up demand from the not-insubstantial vegetarian population of India; the burger includes a double patty of corn and cheese. Explaining the moves, Amit Jatia, the head of the franchise handling McDonald’s in southern and western India, says that to stay relevant everybody needs to reinvent themselves and many things can still be done even if the market is very tough. Almost all the other major players in the Indian fast food sector such as KFC and Pizza Hut also report that sales seem to have slumped alarmingly. While overall the market for dining out is still projected to grow at a healthy clip, the scorching pace it had once set is no more. According to Euromonitor International, the food service industry is expected to clock up $116 billion in sales, up 11% compared to the previous year but down from the 16% in 2008. This has also affected the players that had first entered the Indian market and are now entrenched better than the rest. Even the early entrants to India are trying very hard to reinvent themselves in a bid to retain their appeal to Indian customers so that they can escape the implosion of demand that drew blood in China not so very long ago. According to experts, chains are also facing the pinch as far as ROI is concerned due to the feverish pace they had set for opening up retail outlets in an anticipation that the eating out market would explode. Dominos, for example, had a flurry of stores opening up, and today more than half of its stores are less than five years old. The sort of conversion to western fast food that the chains had hoped for has simply not taken place even with a burgeoning middle class. However, the number of customers lining up at the counter to dig into McDonald’s India menu has been far lower than anticipated, simply because in a country where poverty is very real, even those who can afford a fast food meal find it simply too expensive to be enjoyed on a regular basis. 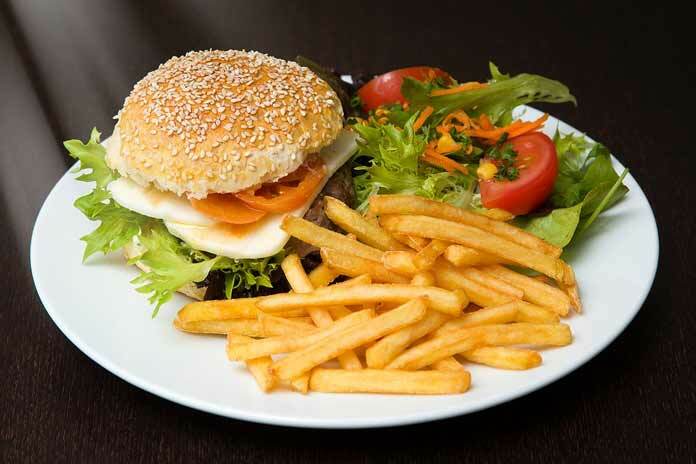 The early entrants are also suffering from a sales slump from fast food fans because they are now busy sampling the fares of the chains that are now coming in with new tastes and offers. In recent years, the larger Indian cities have seen a shower of new outlets opening up both by international chains such as Starbucks, Wendy’s, Burger King, Taco Bell and local operators like Goli Vada Pav, Chaayos, and Coffee Café Day. The diners’ choice has become more widened than before and has left the early entrants struggling to attract their target audiences. The head of Pizza Hut sums the situation up by observing that the market that was previously the playground for five global brands, but it is now crowded with double the number of international chains and hundreds of local players. The country’s discerning customers prefer to treat their palates to fresher tastes and have severely penalized the early entrants for failing to keep pace with changing tastes. Andrew Thompson is writer and has an experience in writing his own blogs. He has written many articles on various categories such as food, beauty, fashion, wedding, real estate, home etc.